The Center for Space Technology (CTS / ASAL) is organizing on Monday 17 December 2018 in Arzew, a scientific and technical day on the use of space techniques, including precise satellite positioning techniques (GNSS) and radar interferometry, for highlighting movement related to crustal movements. 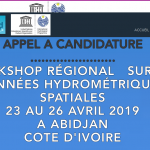 The event would be attended by Professor Mustapha MEGHRAOUI (Institute of Physics of the Globe of Strasbourg – IPGS France); various national institutions concerned by the theme (Sonatrach, National Agency of Dams & Transfers, Public Works Department of Oran) would also be present to present their experiences in the field. Researchers and the scientific community is also invited to participate in this day by presenting the work related to the use of the space tool. On this occasion will be presented the work carried out by the various ASAL structures, particularly the CTS, for the benefit of the national user sector in relation to the precise monitoring networks, seismic and industrial risk management, etc. Detection of various ground movements (subsidence, landslides, …). On the sidelines of this day, Mr. Zuheir ALTAMIMI ( Director of Research at the National Geographical Institute – IGN France and Vice President of the International Association of Geodesy – IAG ), will lead a series of conferences on the establishment of the International Terrestrial Reference Frame (ITRF). Given the limited number of places, people wishing to participate in this scientific and technical day are required to complete the attached entry form and send it by email (jst@cts.asal.dz ) by Sunday December 2, 2018 . The scientific committee of this day will individually inform, after evaluation, the applicants by email before December 5, 2018. Next articleSANSA Earth Observation Challenge finals to hold on Thursday, December 6.